Green Bay Packers quarterback Aaron Rodgers was not pleased with the "p*** poor" performance of his young wide receivers during a practice session on Tuesday. The Packers are going to be forced to integrate not only new pieces to their offense this season, but also young additions as well. Green Bay decided they did not want to bring back veteran Jordy Nelson and drafted three wide receivers - J'Mon Moore, Marquez Valdes-Scantling and Equanimeous St. Brown - in an attempt to make up for the loss of Rodgers' favourite target down the years. And so far they are not living up to the expectations of the 34-year-old QB. "It was one of the worst cards sessions we've had," Rodgers said, via NFL Spin Zone. "I don't know how you can make it any simpler. 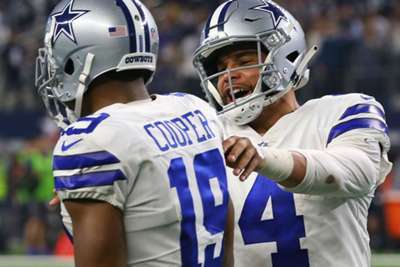 "You literally have what the play would be in our terminology on the card, and the effort level was very low, especially with what I'm accustomed to. "I've been running that period for a number of years. So it's not a good start for us on the card period for the young guys. "I think [DeAngelo] Yancey has really progressed, G-Mo [Geronimo Allison]. Obviously, 16 [Jake Kumerow]. But everybody else was kind of p*** poor." 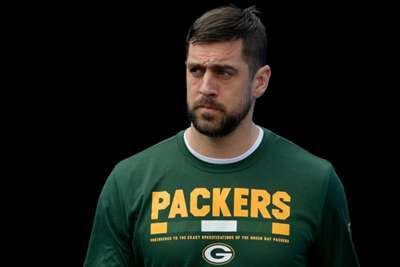 "I'm getting older and grumpier," Rodgers added, via ESPN. "I've been at this for a long time. I'm tired, too; we're all a little tired. "When you get a little tired, the fuse gets a little shorter. Again, you're in like the 14th play of a 14-play drive and you've got low effort level and an MA [missed assignment], that's a little frustrating."